Okay, My Web Hosting is Lackluster. Is it Worth the Hassle of Migrating? Once in a while, that neighbor goes on vacation and you get some peace and quiet. And you’ve spackled over the water stains on your ceiling. If you forget about all of the niggling issues you’re having with your space, you can convince yourself you’re doing just fine. But are you? Is it worth the hassle to move on? Isn’t migrating your web hosting a huge pain? What if something goes wrong? Can’t you lose your data? If you had to pack up every little thing on your web server and move it yourself, then yeah, it’d be a risky endeavor. But you shouldn’t have to do that. What if someone did all of that work for you simply because they respected you as a customer? The Email Shop has a migration tool that will move your things from one server to another with just one click of a button. The pain of migration is nonexistent. Not only that, The Email Shop suffers none of the problems of the hugely popular and massively overloaded webhosting services. The Email Shop also happens to be the cheapest value for your investment when it comes to hosting. Their customer service is well-known and unmatched. And above all else, their site speed and security are some of the best in the market. And with all of that to their name, they’ve also managed to become the most reliable hosting company in the UK. It’s time to switch your hosting to The Email Shop. What Makes The Email Shop a Better Choice? The Email Shop hasn’t become the most reliable web hosting company in the UK on accident. They’ve conquered all of the traditional problems with shared hosting. They have state-ofthe-art security, dependable web servers, plenty of bandwidth and fast speeds, and not least of all, they’ll migrate your data from your old hosting to your new at the touch of a button. You put a lot of trust into your hosting company. There are so many layers of protection needed when it comes to hosting a web server. And with all of those layers, there comes multiple points of entry for potential cyberattacks. These days, it’s not as easy as having a strong password. In fact, many cyberattacks happen at a level you’re not able to access. They gain entry somewhere else further up the line and then suddenly have access to your files without you even knowing it. There’s nothing you can do—essentially, the company that hosts your site has a skeleton key to your entire house. All you can do is hope they keep the key away from the bad guys. The Email Shop understands this. They know your trust matters most. That’s why their web servers are stored on UK ISO certified data centres. It’s like they’ve put that skeleton key inside a lead-lined box inside of Fort Knox. There is no worse feeling than receiving a call from a customer complaining that your website isn’t working. You cross your fingers and hope that it’s a problem on their end but when you type in your address your stomach churns. All you see is an error message. And what do you do in those cases? You call your hosting provider, of course. But what do they usually tell you? Either the site is down due to maintenance or you get some vague nonanswer and an ETA. There’s no worse feeling than knowing your customers aren’t able to access your business. And to them, it doesn’t matter what the cause is. It makes you look bad either way. Not many hosting providers are willing to, but The Email Shop guarantees their uptime. You can have peace of mind knowing your customers will always see your website. 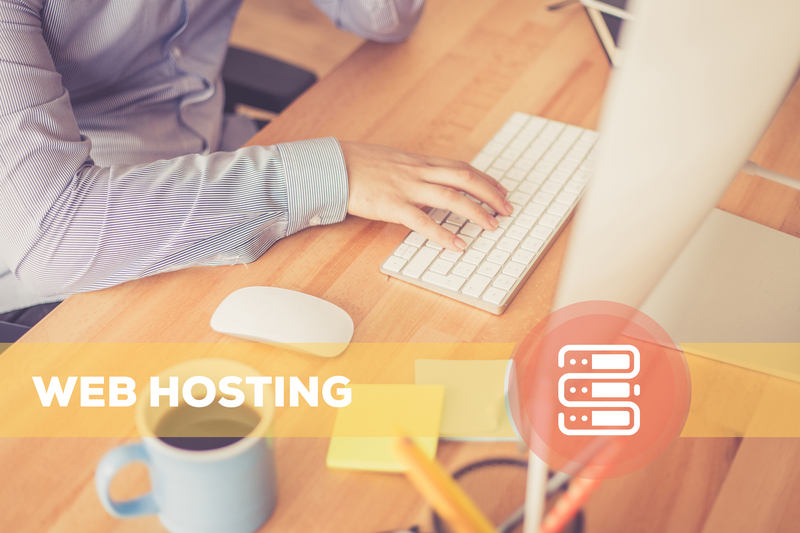 Shared web hosting is the most affordable way to host your brand or business on the internet. But that affordability comes at its own cost. Often times with shared hosting, web servers are spread too thin for the amount of people that are using them. You’re just a tiny sliver within the whole pie. Most web hosting providers would make you think the solution was complicated but it’s really very simple—more web servers and less people on each server. And that’s exactly what The Email Shop Does. The only thing worse than no website is a slow website. And going hand-in-hand with speed is bandwidth. Think of bandwidth as a pipe that carries data to and from your website. If the pipe is too narrow you’ll only be able to carry so much at one time, which slows everything down. The solution to that is simple, too—a larger pipe. And The Email Shop has that covered as well. It’s understandable that you don’t want to move hosts. Even if you think The Email Shop is a much better choice than what you’re using now, the idea of transferring your backups, user data, and whatever else you can’t even think of over to a new web host is daunting. No one likes to pack up their things. It’d be much easier if you could just teleport it all to your new space without a single worry. The Email Shop has you covered. They call it their Website Migration Service and it lets you transfer your entire site at the click of a button. It really is that easy. Have we convinced you? Or would you rather stay in that shabby thing you’ve been calling a web host for a little while longer? With our pledge of state-of-the-art security, substantial speed and bandwidth, no downtime, and the ability to transfer your entire site with a button click we think it’s a no-brainer. Take a look at our pricing and sign up today.